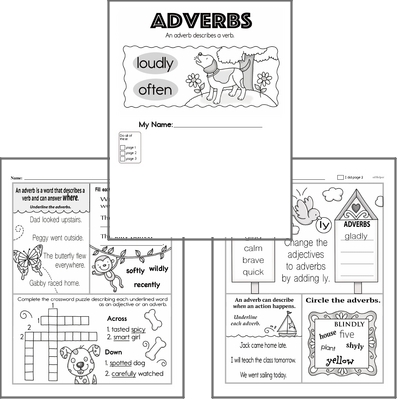 Awaken your students' adverb awesomeness with this adverb unit for grades two through seven, which gives you the option to create printables for identifying, explaining, and using this tricky part of speech. Give out a story starter for each student in your class with different adverbs. For edHelper.com subscribers. - Sign up now by clicking here! Write a story using each word in the word list.